This paper seeks to position the Byzantine paradigm within the broader discussion of identity, ethnicity and nationhood before Modernity. In about the last decade, there has been a revived interest in research into collective identity in Byzantine society, with a number of new publications providing various arguments about the ethno-cultural or national character of Byzantine Romanness as well as its relationship to Hellenic identity. Contrary to an evident tendency in research thus far to relate Byzantine, i.e. 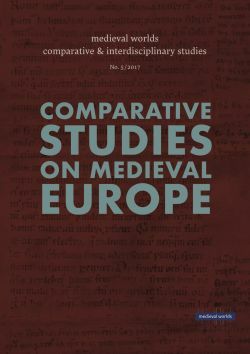 medieval Roman, identity to a dominant essence – be it ethnic Hellenism, Chalcedonian orthodoxy or Roman republicanism – the approach adopted here aims to divert attention to the various contents and the changing forms of Byzantine Romanness as well as to its function as a dominant mode of collective identification in the medieval Empire of Constantinople. The main thesis of the paper is that the development of Roman identity in the East after the turning point of the seventh century and up to the final sack of Constantinople by the Ottomans in 1453 needs to be examined as one of the most fascinating cases of transformation of a pre-modern social order’s collective identity discourse, one which culminated in an extensive reconstruction of the narrative of the community’s historical origins by the educated élite. Last but not least, the problematization of the function of Romanness as an ethnicity in the Byzantine case offers an interesting example for comparison in regards to the debated role of ethnicity as a factor of political loyalty in the pre-modern era.